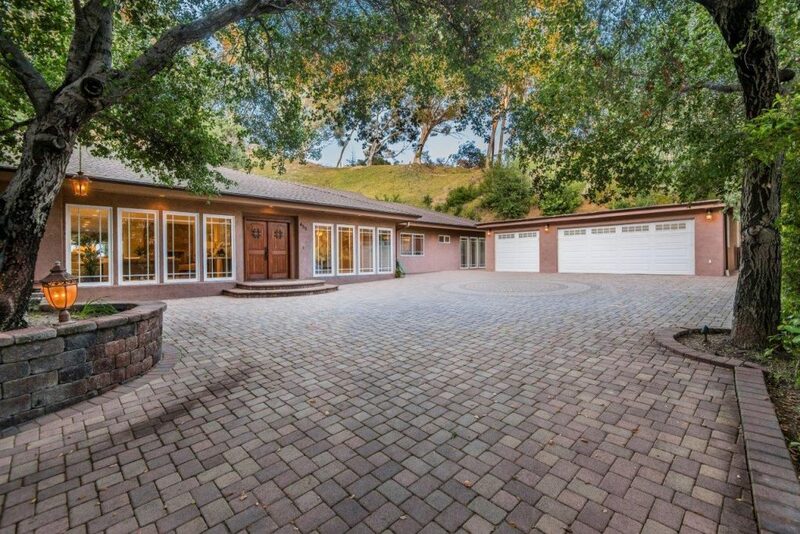 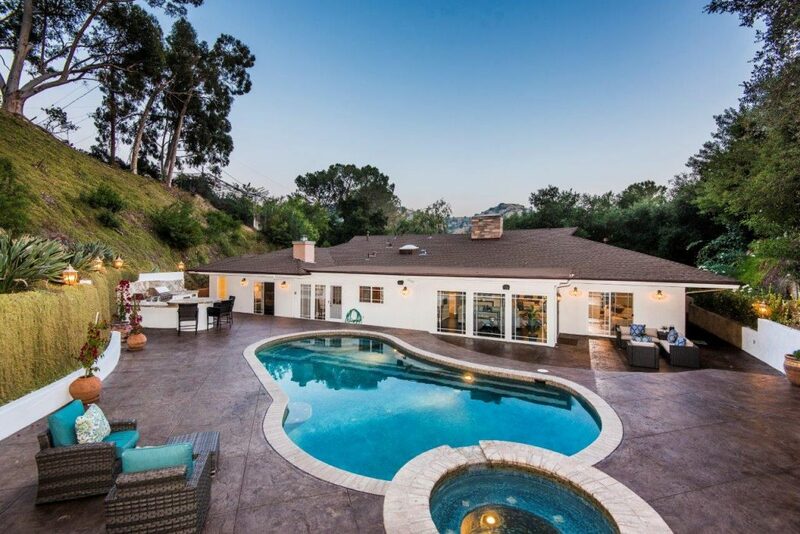 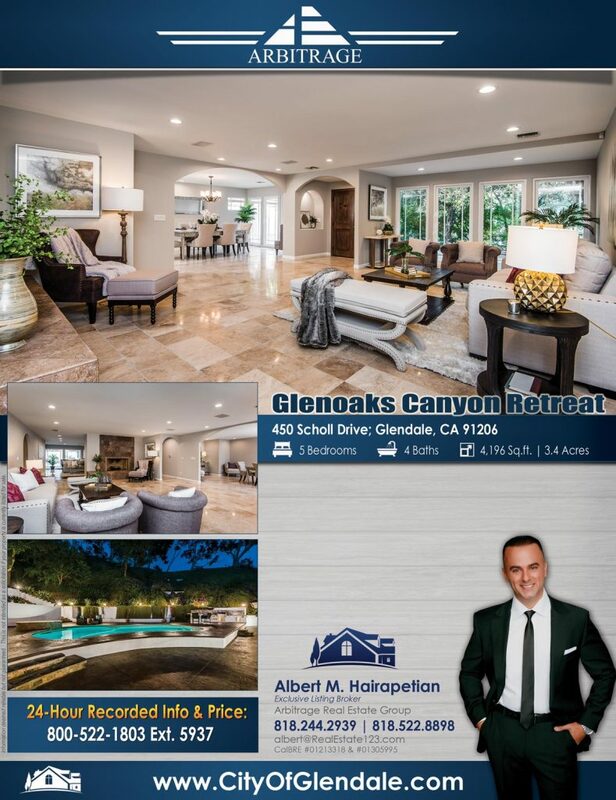 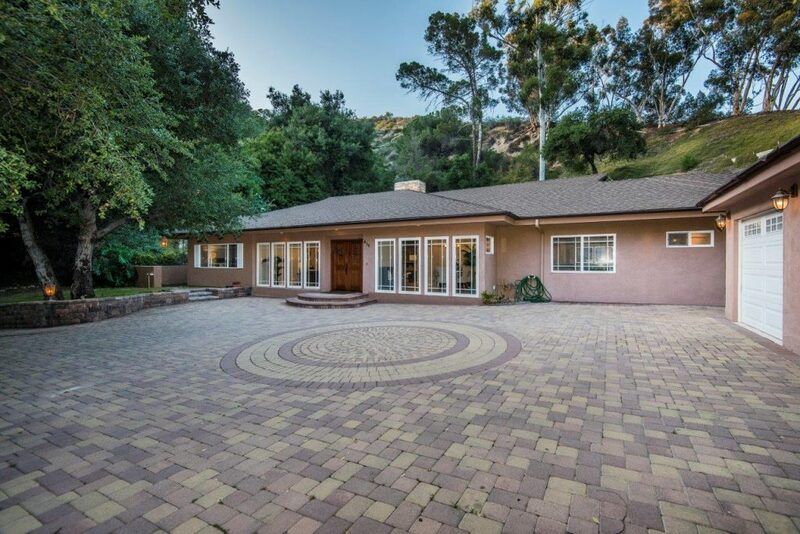 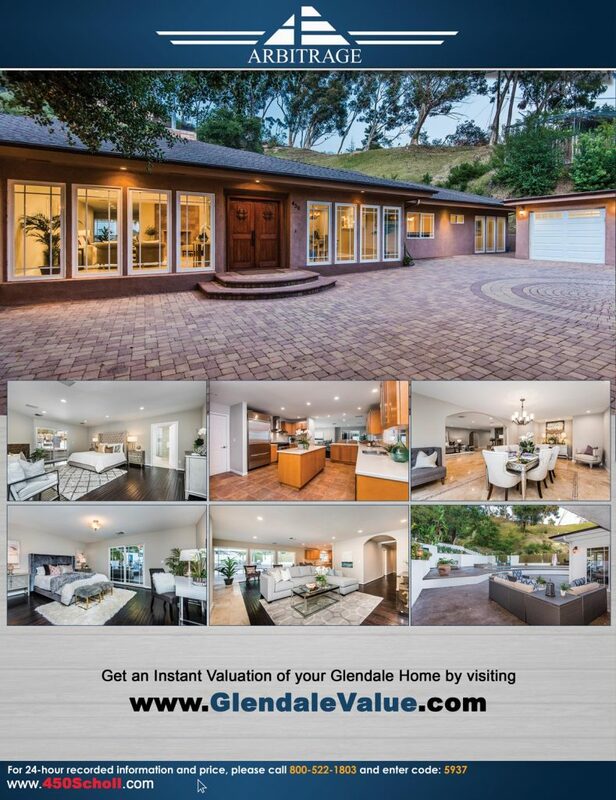 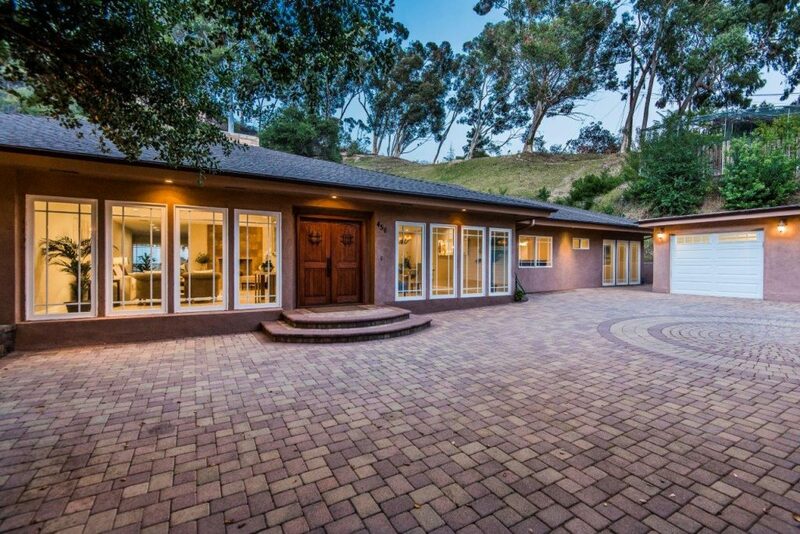 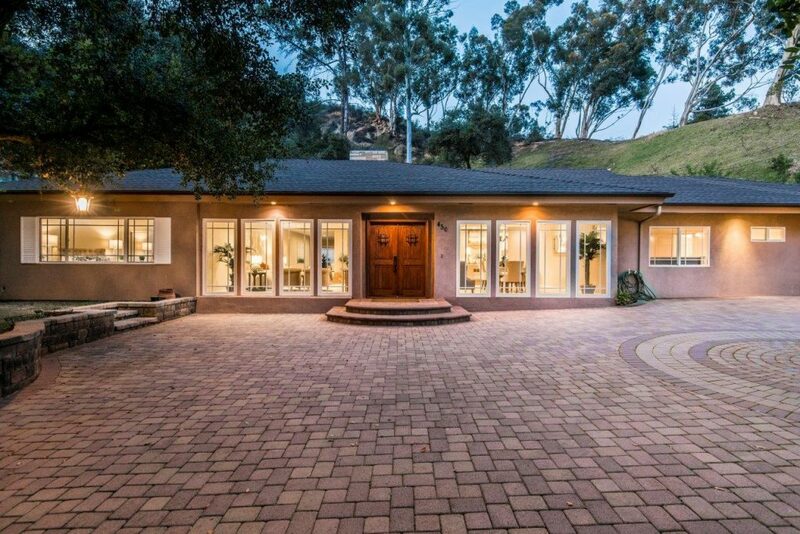 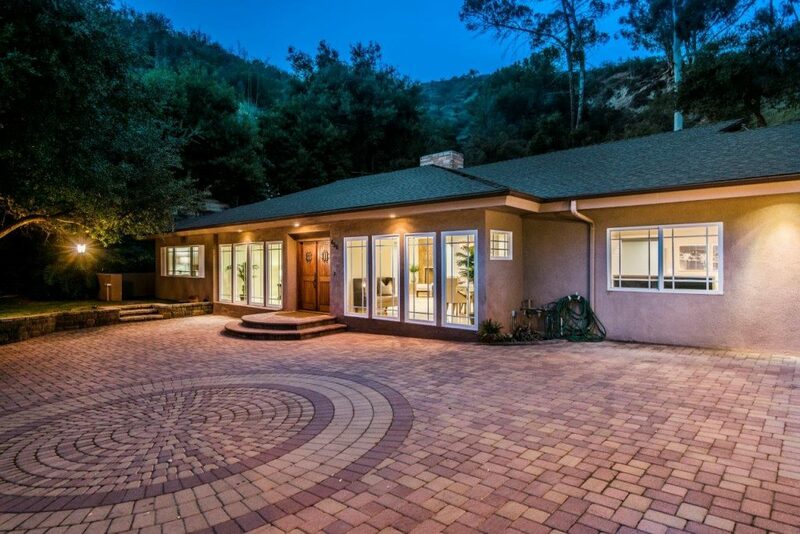 Sitting on nearly 3.5 acres of incredibly private land, this gorgeous Glendale Hills home with almost 4,000 square feet of open living space has it all! 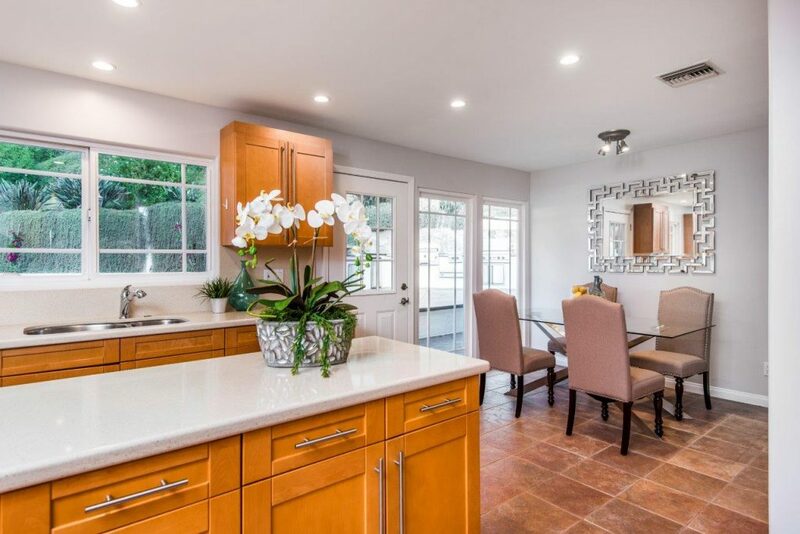 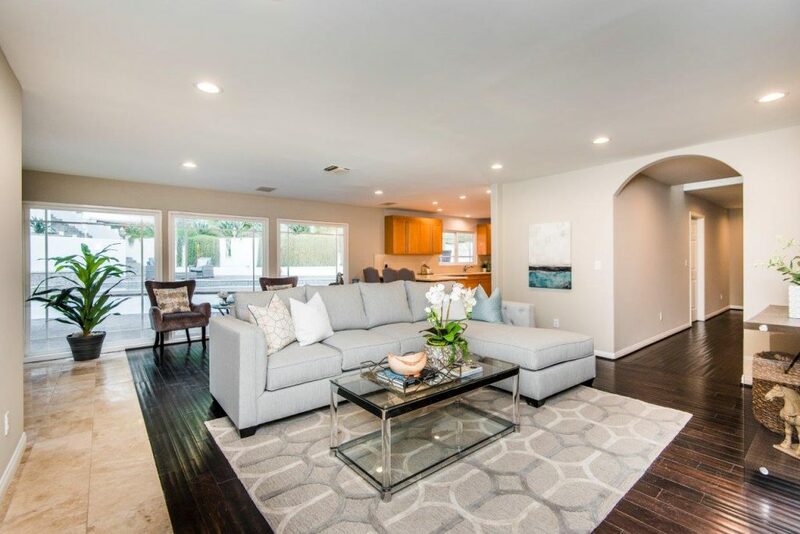 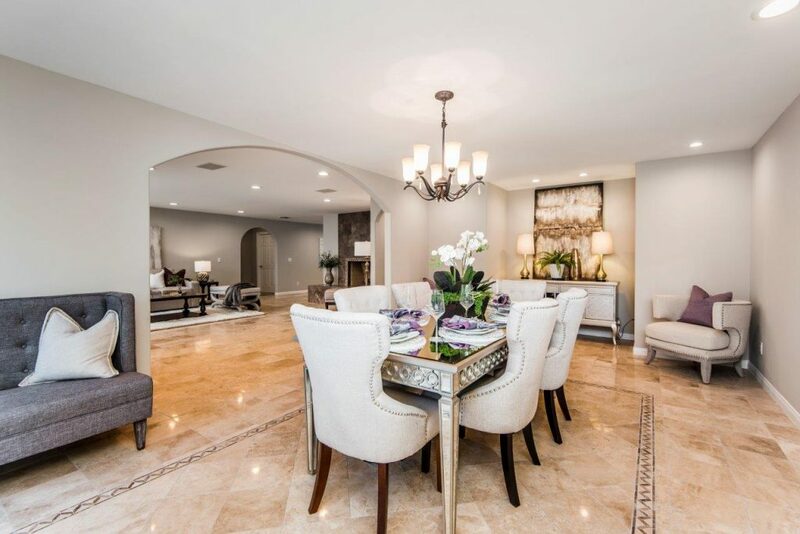 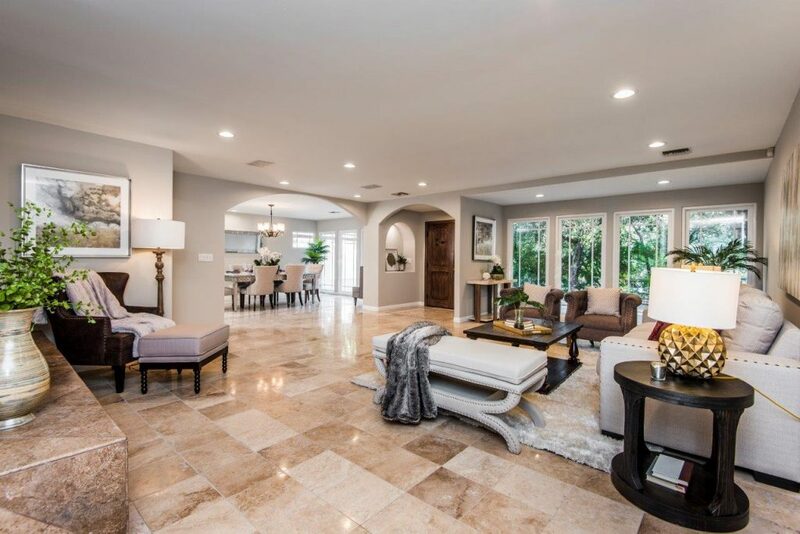 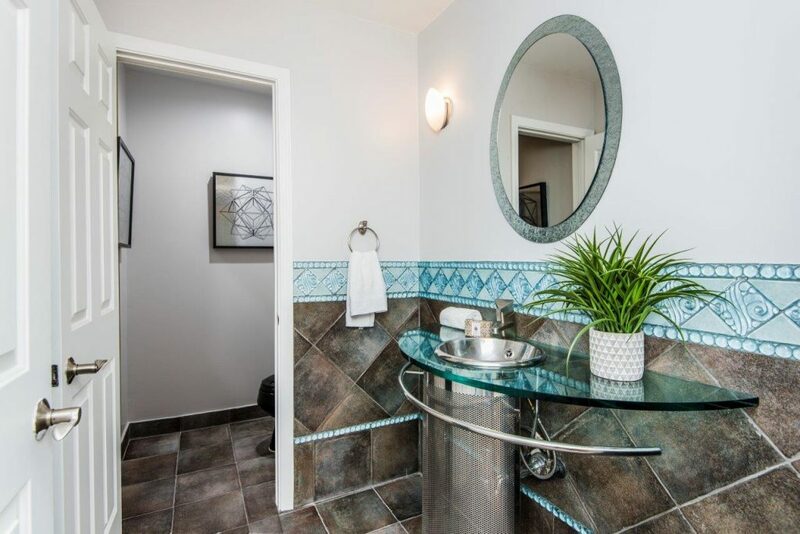 Located on a cul-de-sac street, a private driveway with a brick mosaic leads to a 3 car garage and the front of the home.The entryway opens up to a spacious foyer with intricate, refinished tile floors. 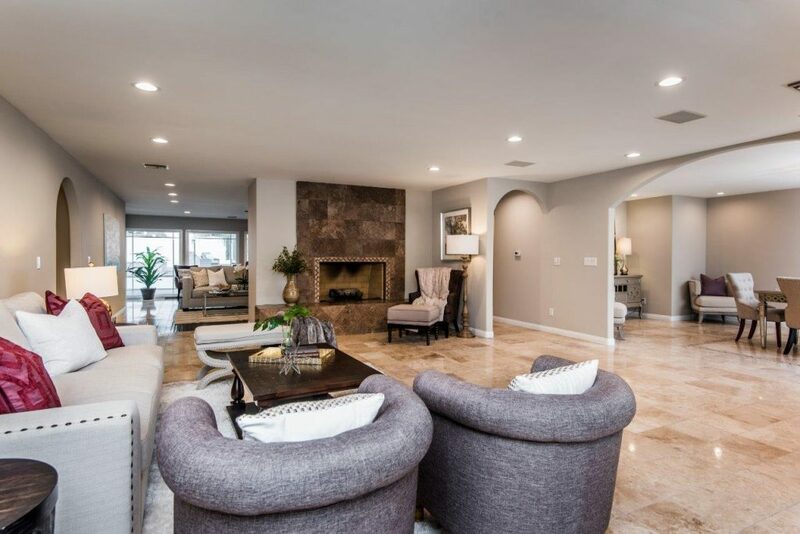 The formal living room with a gas burning fireplace to left and the formal dining area to the right are lined with floor-length windows. 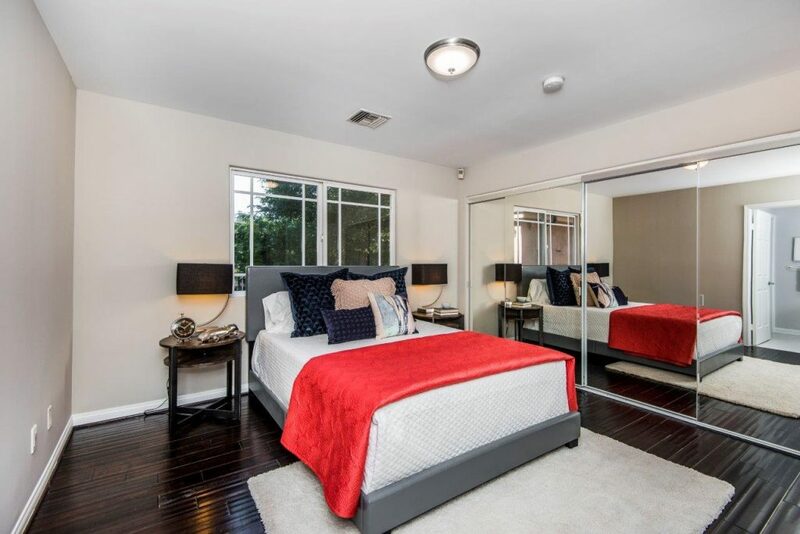 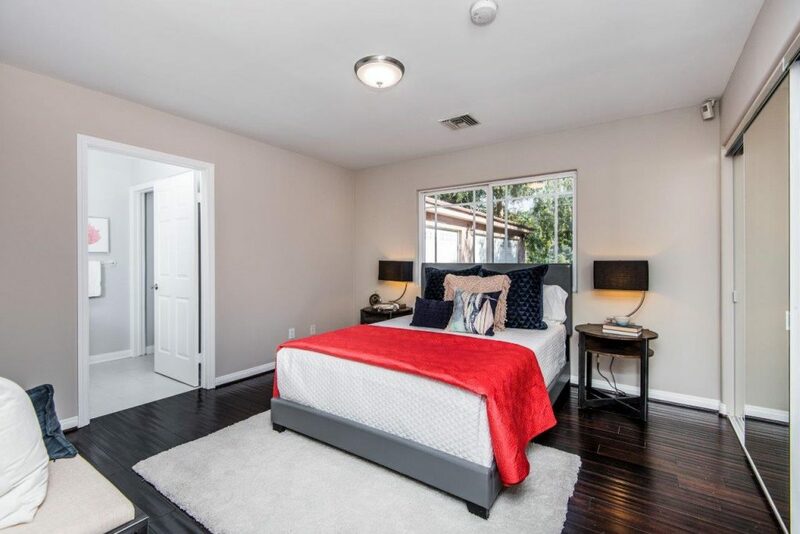 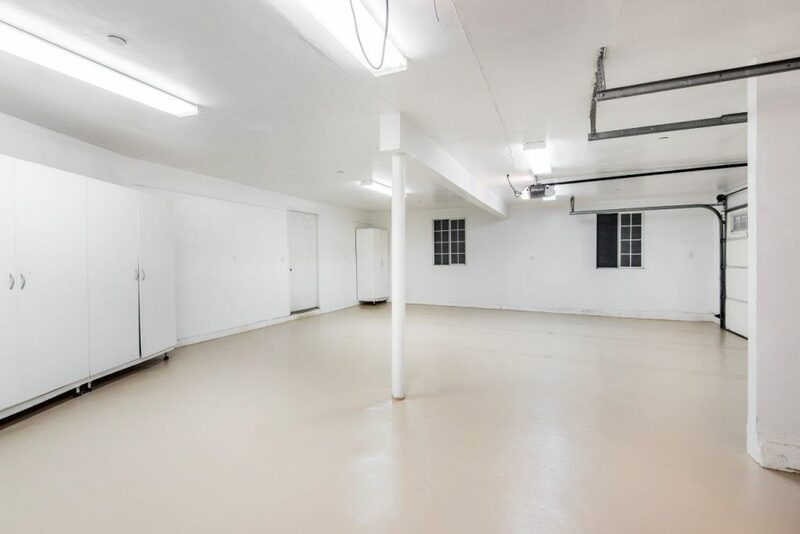 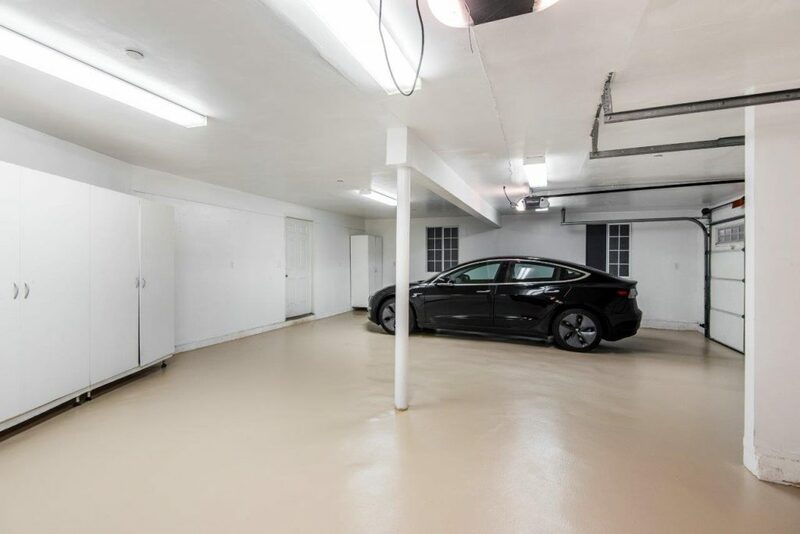 The freshly painted interior of the home features a total 5 bedrooms and 4 bathrooms. 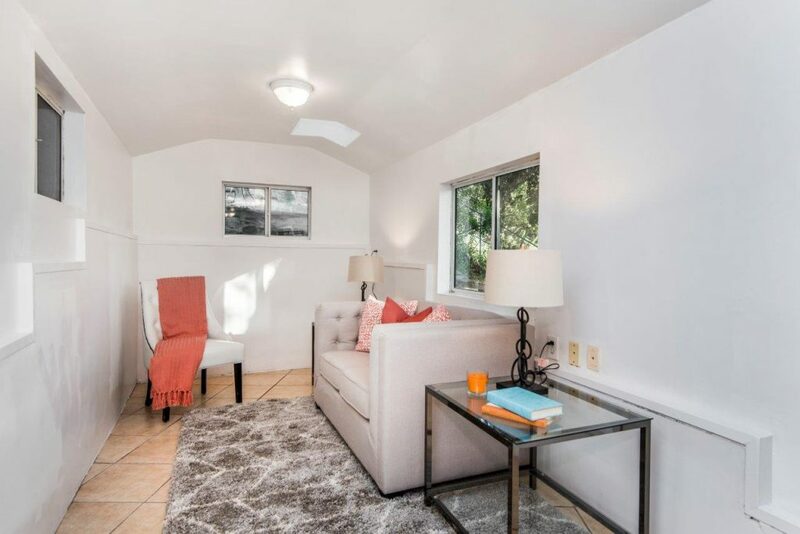 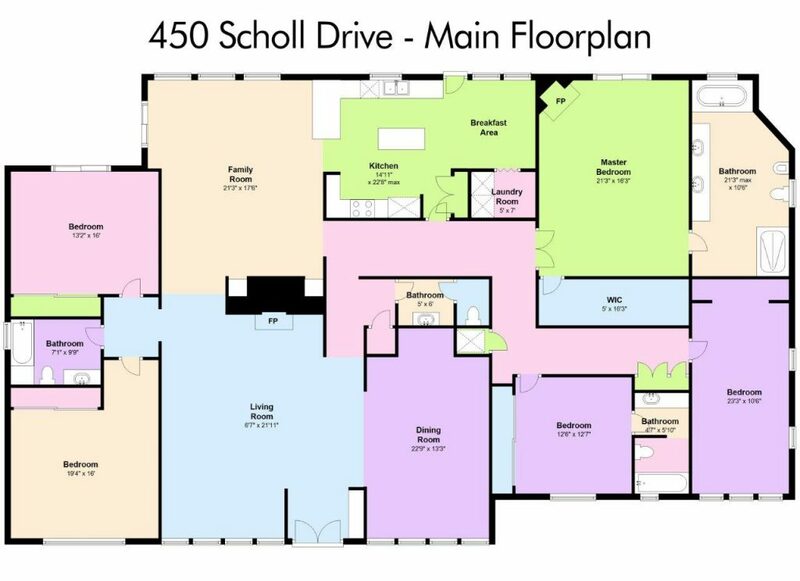 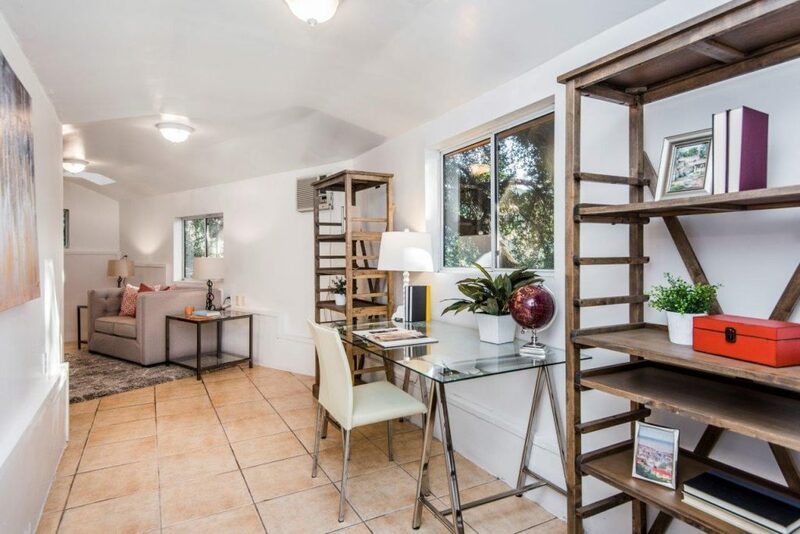 There are 2 bedrooms, one with access to the backyard, and a full bathroom next to the formal living room. 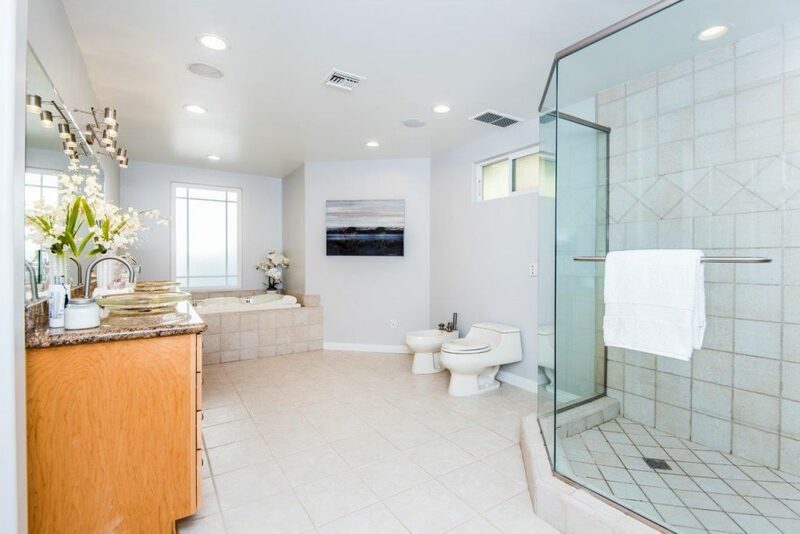 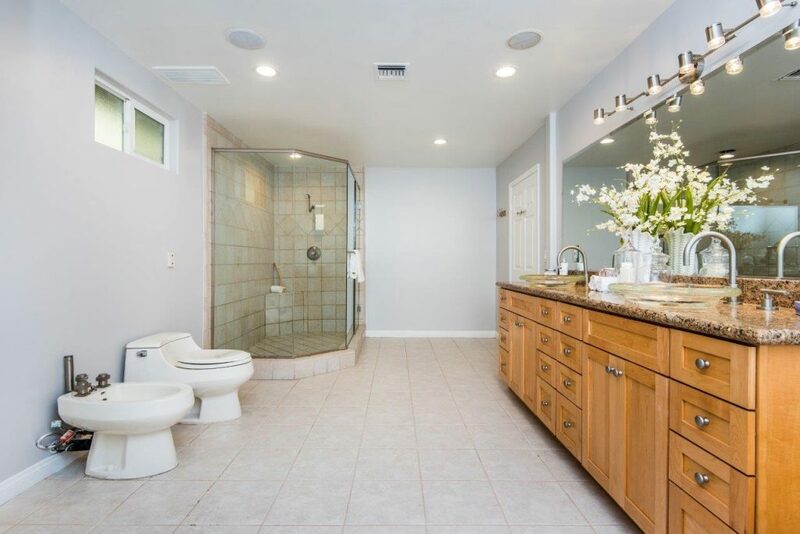 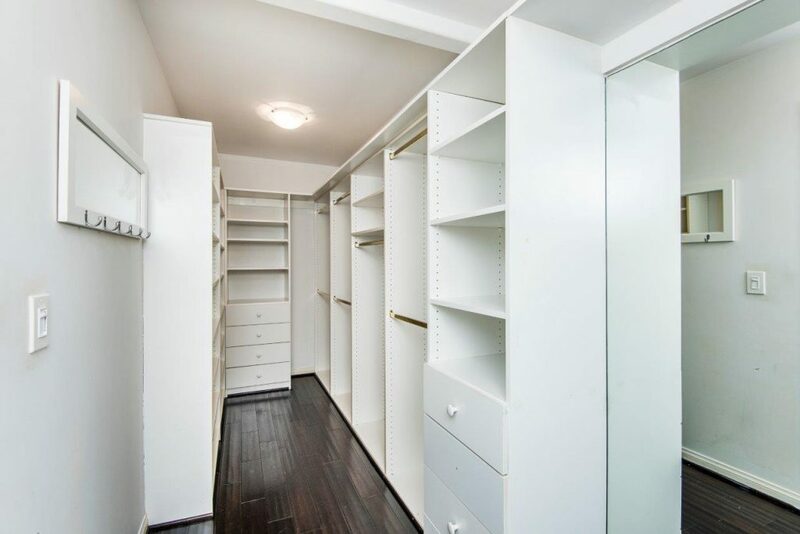 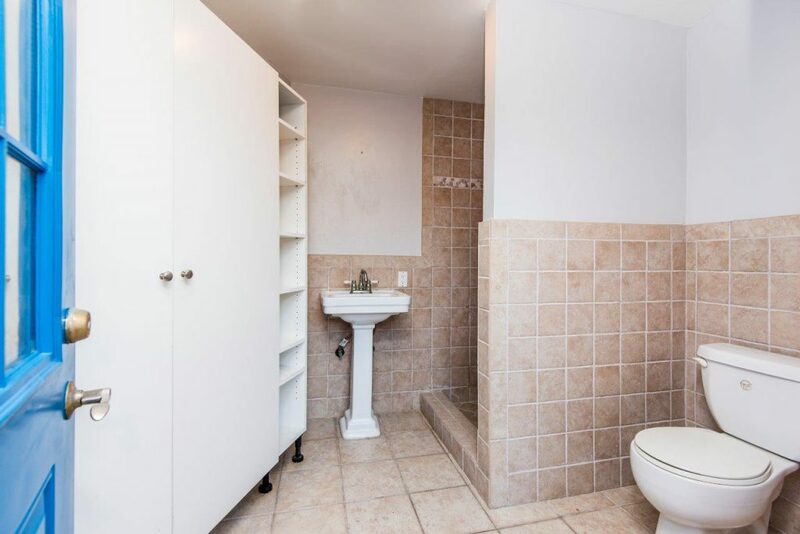 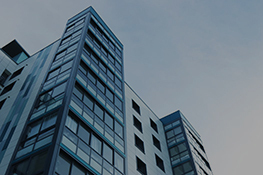 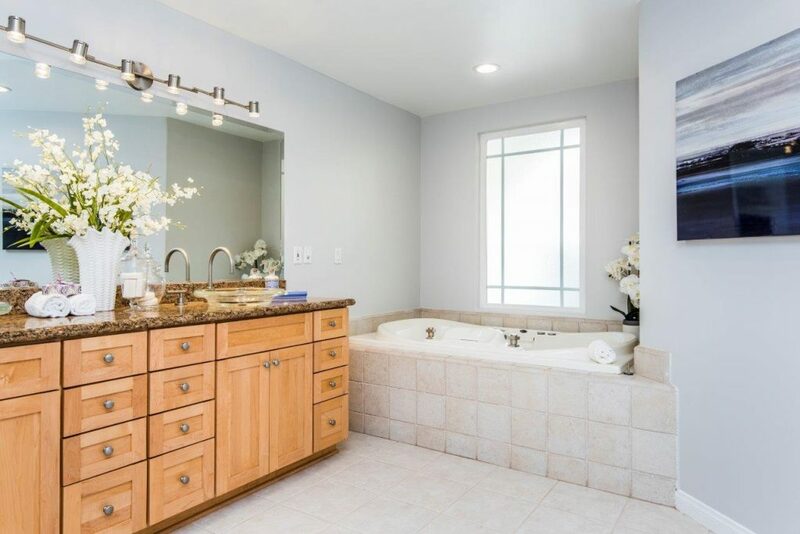 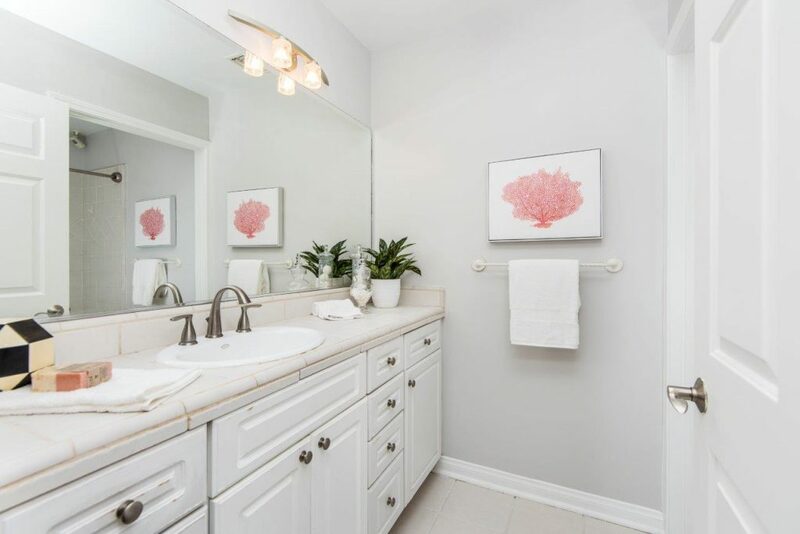 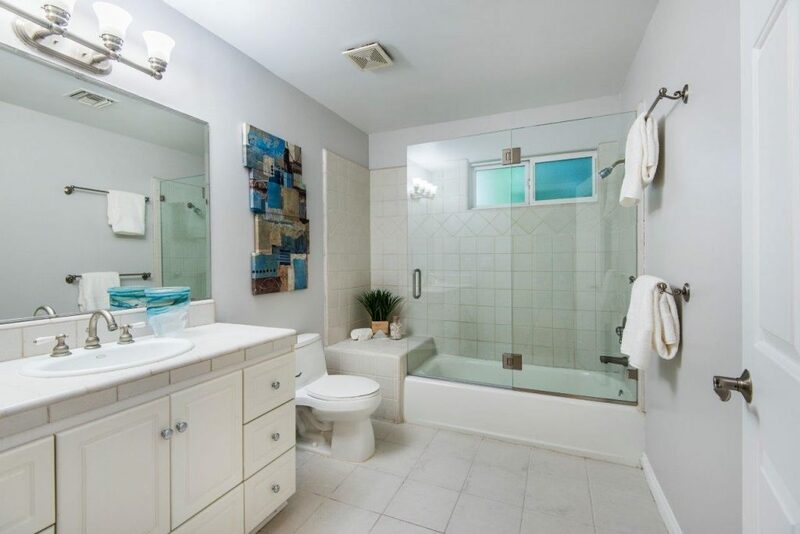 A hallway leads to a bathroom and an additional 2 bedrooms, one with its own attached bathroom. 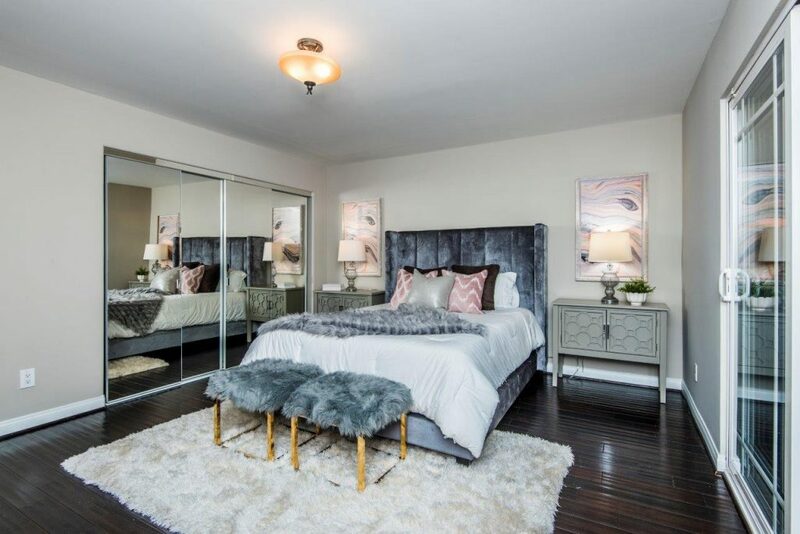 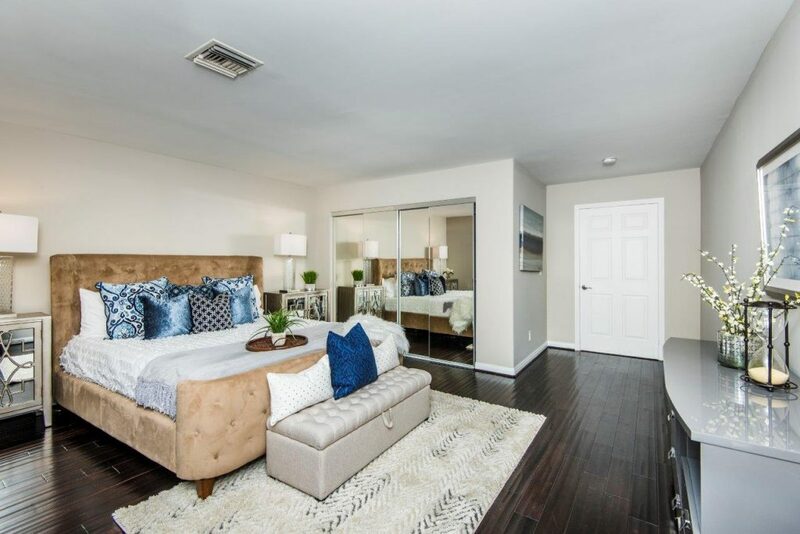 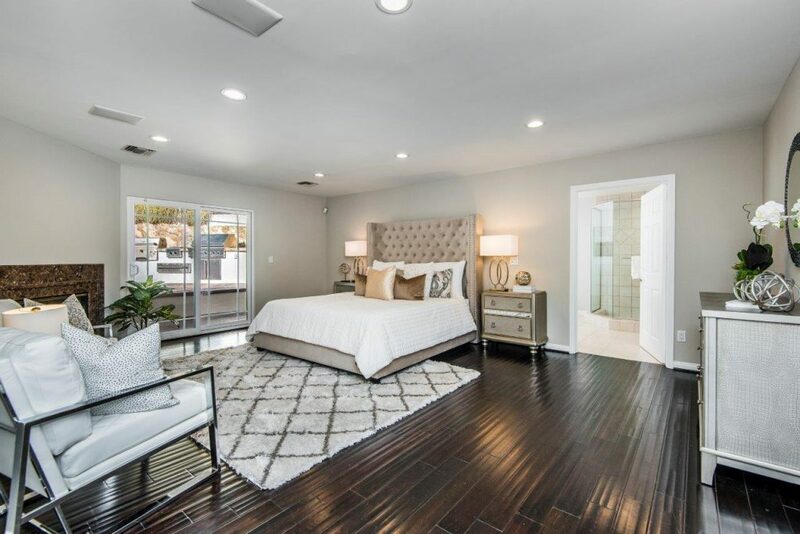 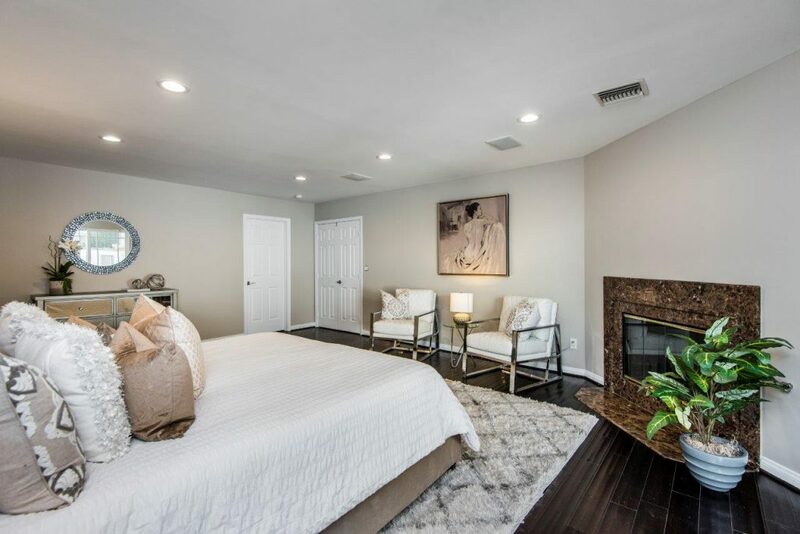 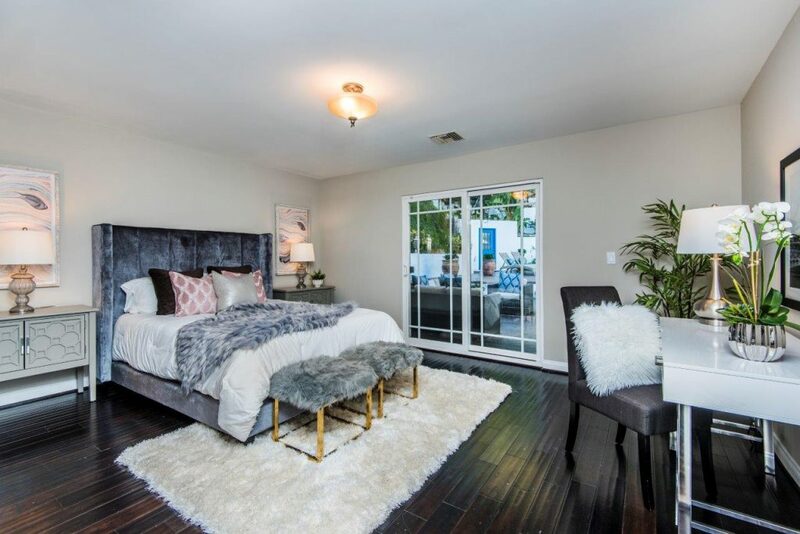 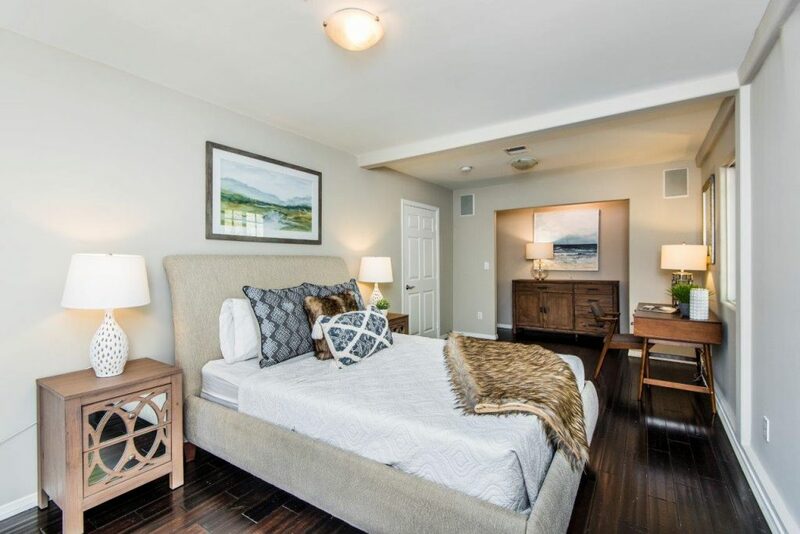 To the end of the hall is the expansive master suite featuring access to the backyard, a second gas fireplace, walk-in closet, and full bathroom with dual vanity sinks. 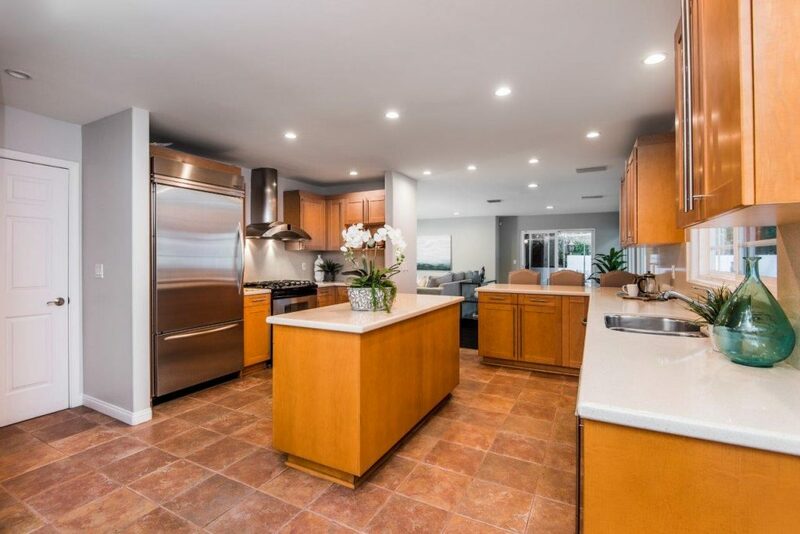 The roomy upgraded kitchen features an island, modern cabinets, new stainless-steel appliances, and a casual dining area. 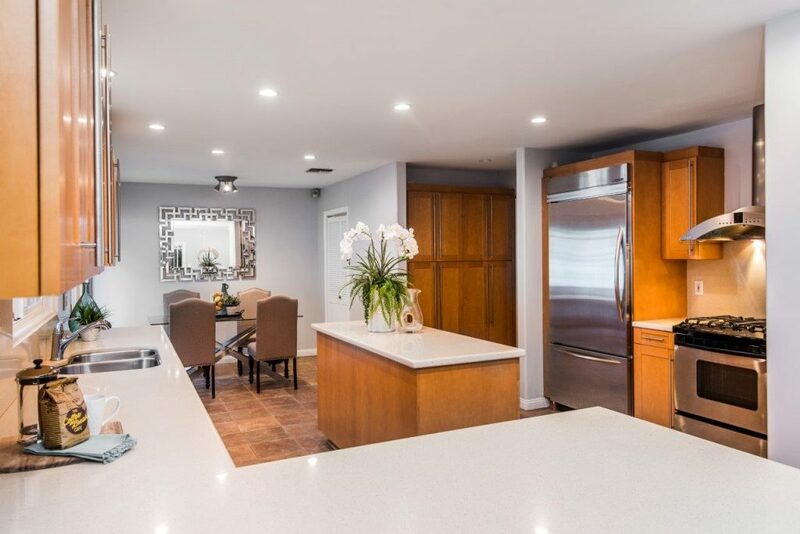 Off to the side of the kitchen is a large family room with wall-to-wall windows letting in plenty of natural light throughout the day. 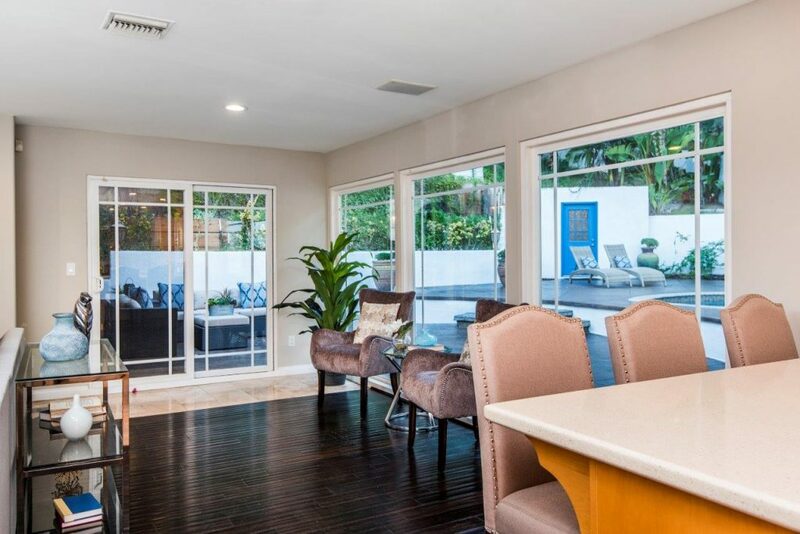 Multiple sliding doors lead to the resort-like backyard. 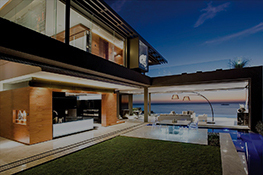 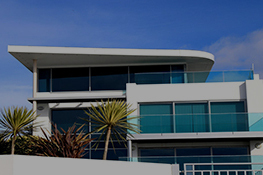 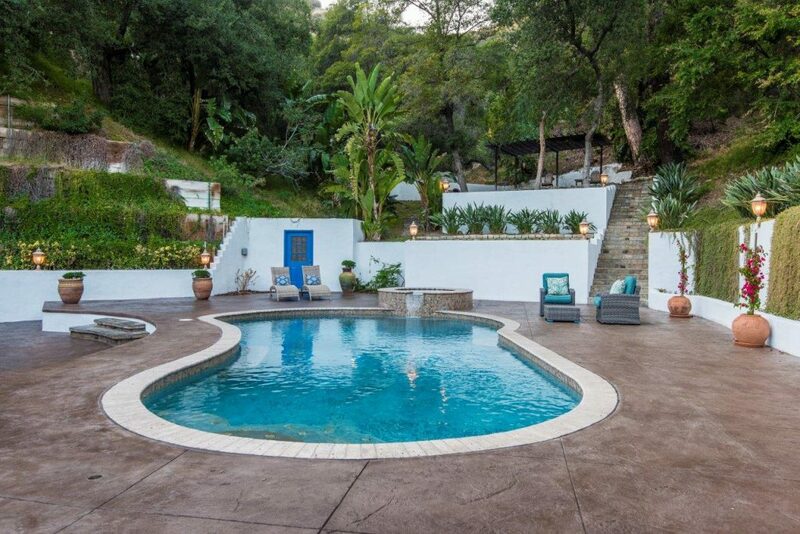 Situated in the center of the extremely large backyard is a crystal blue pool and spa. 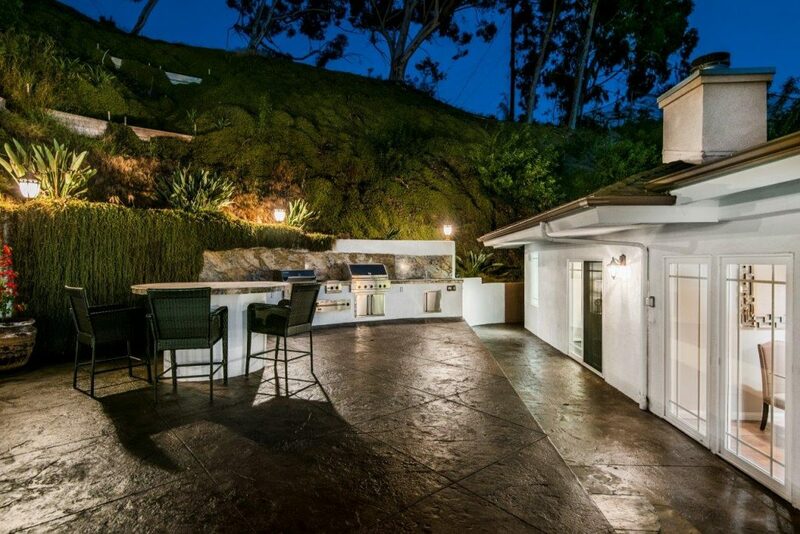 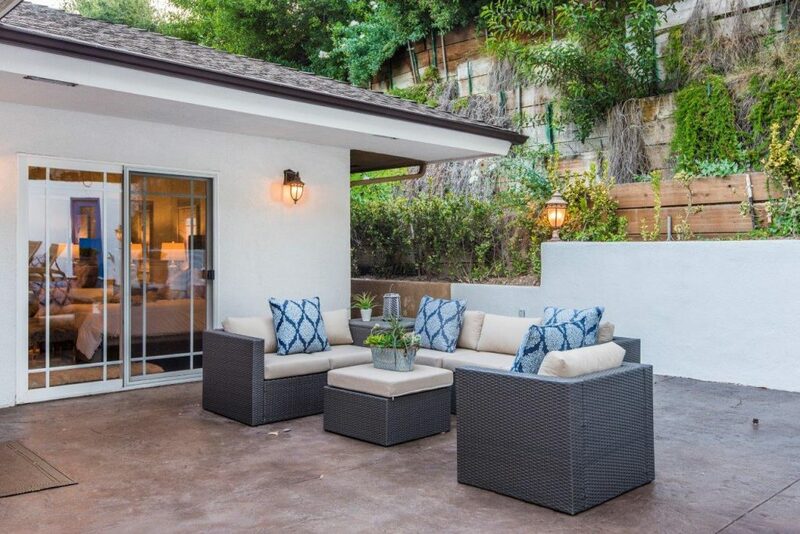 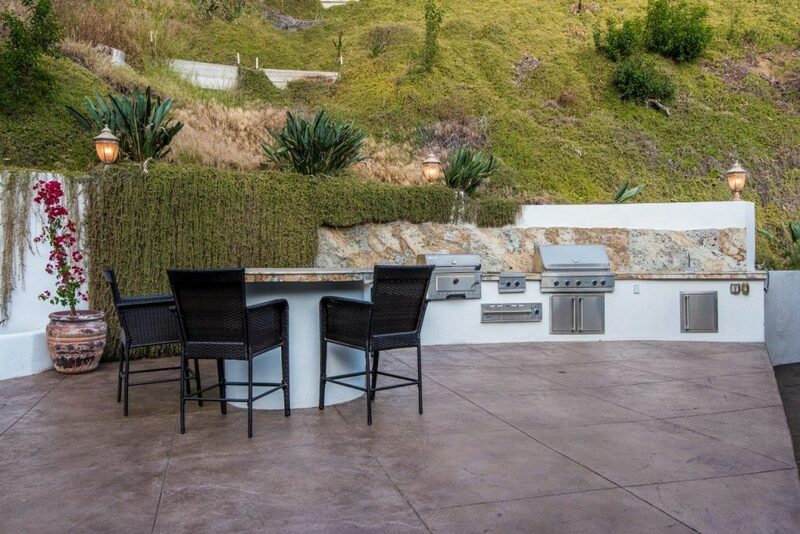 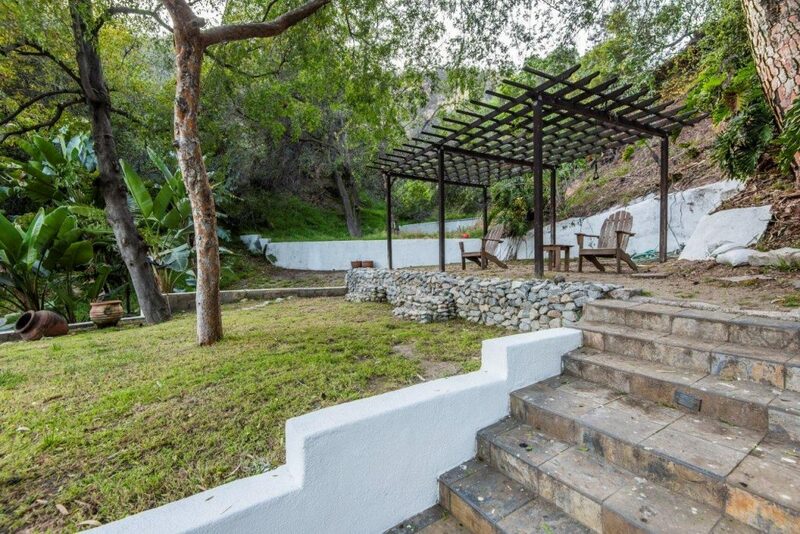 The backyard also features a full outdoor kitchen with a barbecue and a cabana style bathroom. 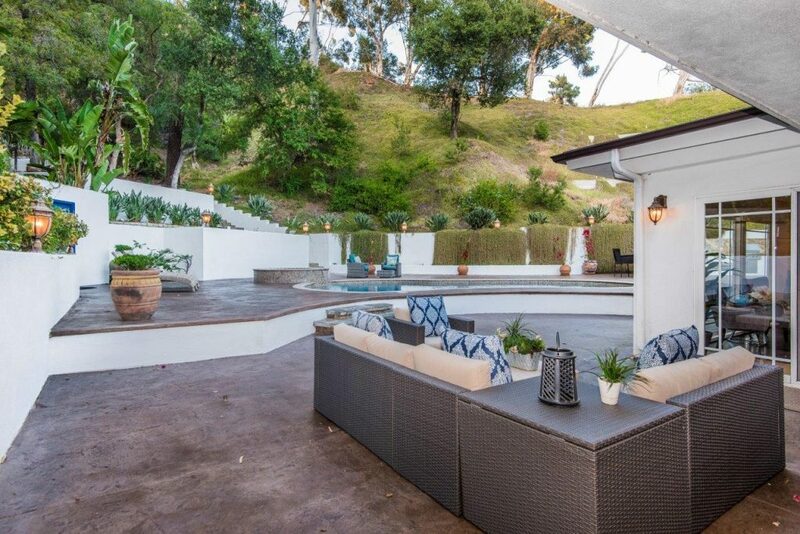 Towards the far end of the yard there are stairs leading up to a covered seating area overlooking the entire, fully-landscaped estate. 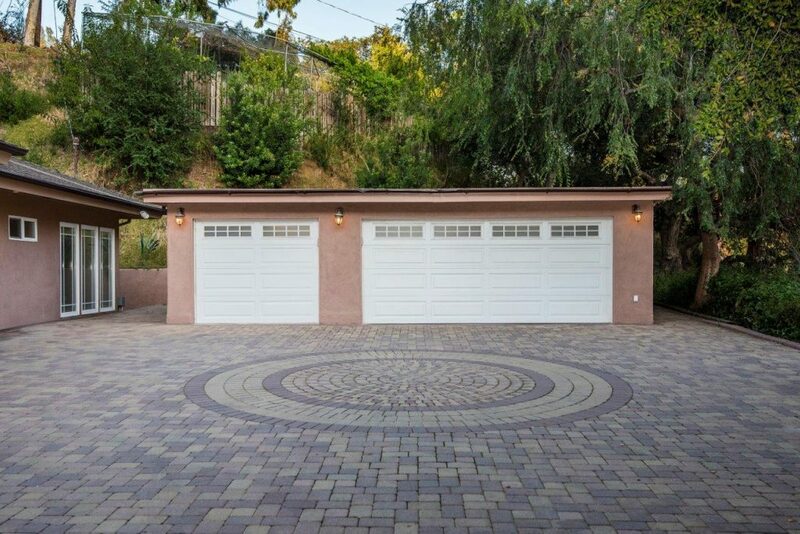 Behind the garage, there is a detached office space and stairs that lead up to a garden. 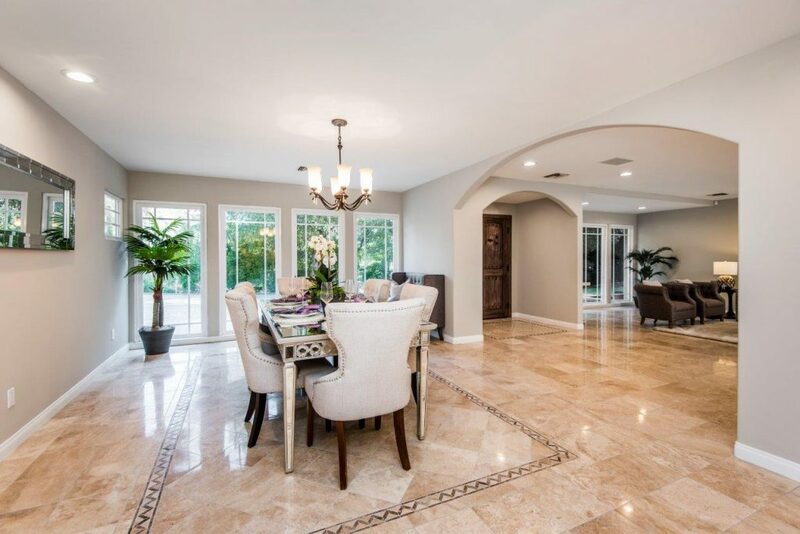 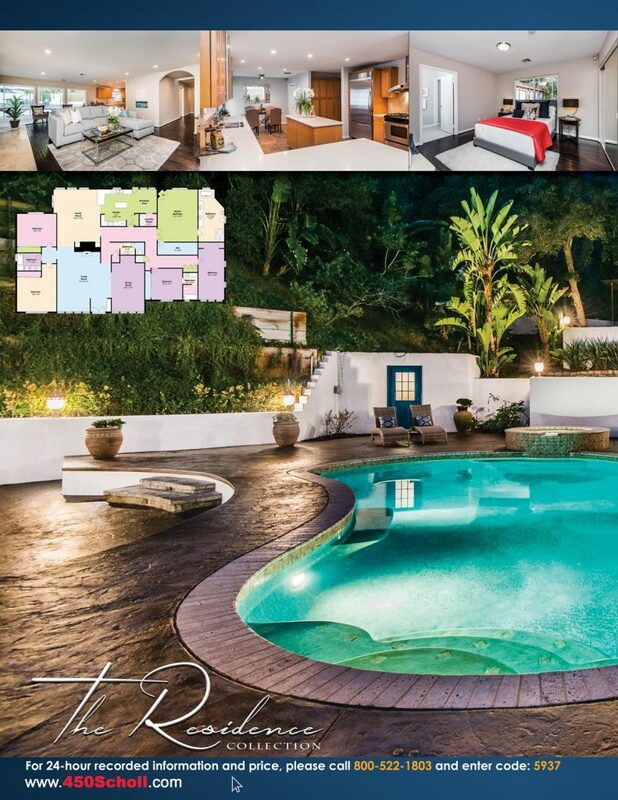 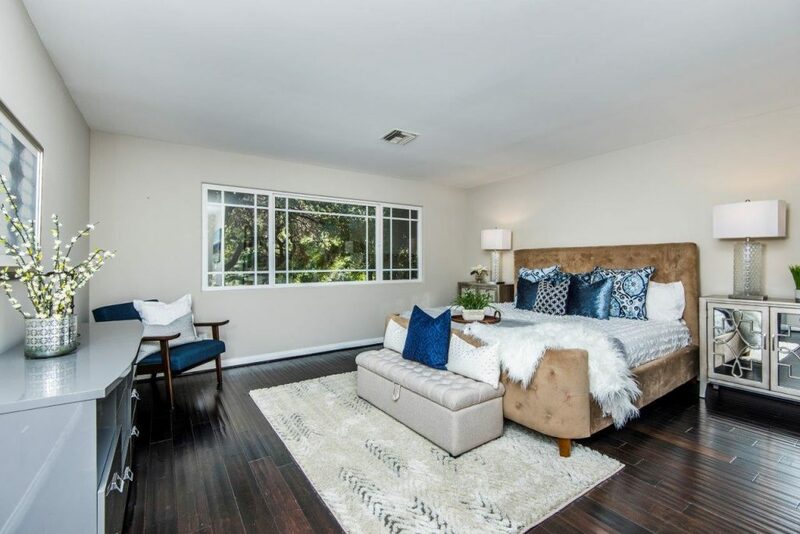 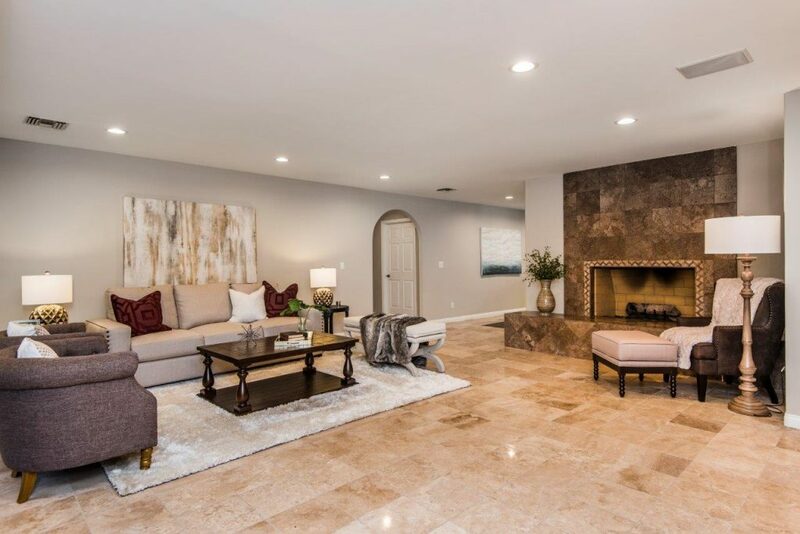 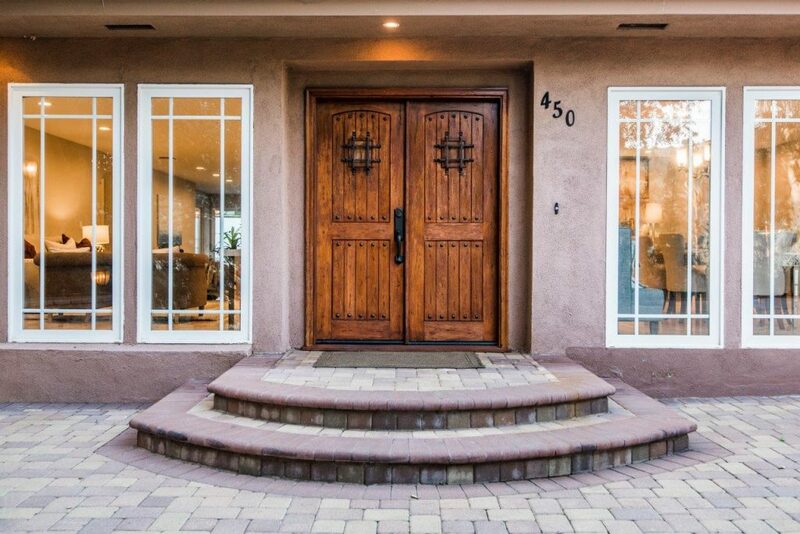 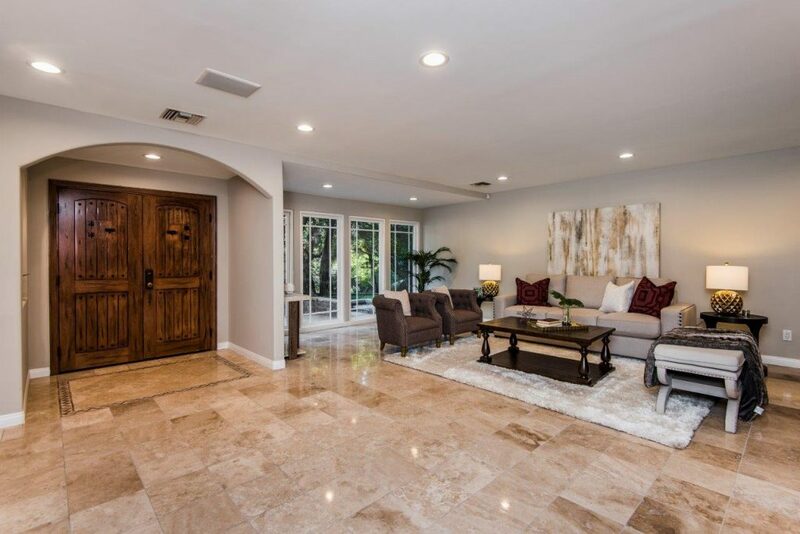 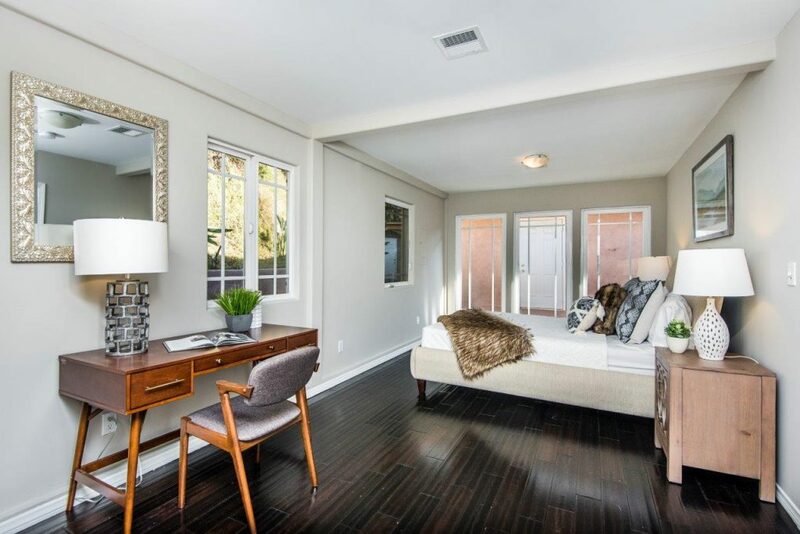 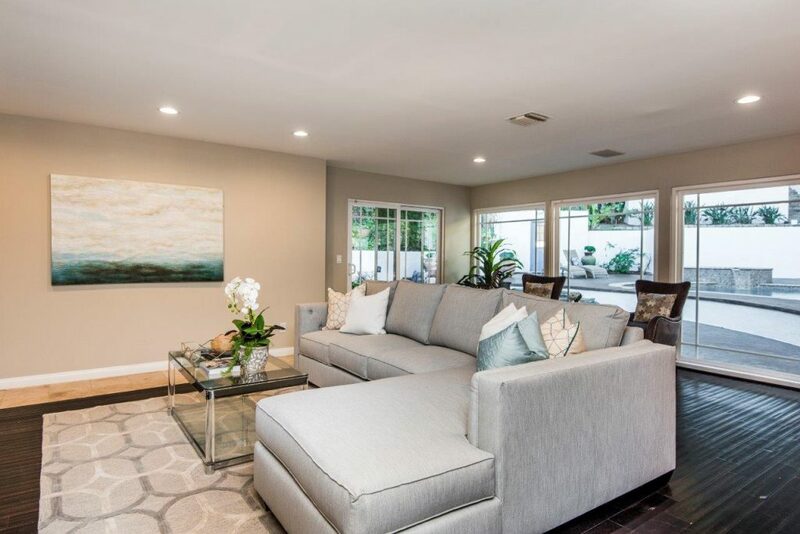 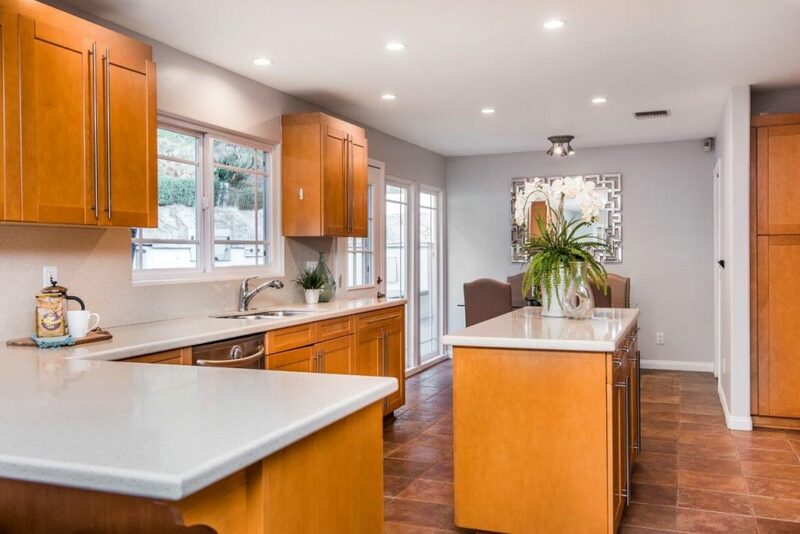 This exceptionally private Glendale Hills home with a rare amount of land offers the perfect opportunity for any astute buyer to host intimate gatherings and live in peaceful luxury.